We had a lovely meeting on Tuesday, April 3rd, in the Rosa Parks cafeteria! We had a successful auction! Thank you to everyone who attended and helped. Specific figures are still being tabulated. If you did not make it this year, check it out next year! 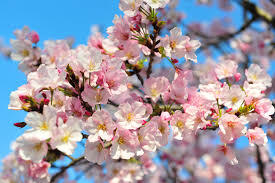 Cherry Blossom Festival is coming in April. Popcorn will be popped on April 7th (K and 3rd) grade), 14th (1st and 4th) and 15th (2nd and 5th). Booth sales will be the weekends of April 14-15 and 21-22 and the parade will be on Sunday April 22nd. PTA parking lot fundraiser will be 4/15, 15 and 21. Signs ups are at www.volunteersignup.org/CYDJ7. You can come any day, even if your kids are not in the assigned grade for that day!! Join us in the Cherry Blossom parade on Sunday April 22nd! Keep an eye out for opportunities to buy red adult JBBP parade shirts. Practice the dance with this video. Here are the lyrics to both songs paired with the dance move call outs. Children’s Day is May 5th. We will need volunteers to help with our table. Keep an eye out for sign ups. Elections for PTCC are coming in May! On May 4th ballots will be distributed. There is a 5 school day voting period. They will be due around May 11th. In other news, Advisory Committee have asked for information regarding this year’s enrollment and the set aside and data is expected this month. Next meeting date is May 11th at 8:00 am. Please join us!